A moment later: “Boom. Everything just went flying,” Tom later told the Canadian Press wire service. The incident was the latest in a series of explosions and conflagrations in the United States and Canada during the last five years caused or suspected to have been caused by combustible wood dust. They include the April 2012 disaster at another British Columbia saw mill, this one in Prince George, that sent flames nearly 200 feet into the air, killing two and injuring 22; a large 2011 fire at a New Hampshire wood pellet factory; and a 2008 explosion at an Imperial Sugar mill in Georgia that left 13 dead and dozens injured. These catastrophes reinforced what has long been known in the woodworking industry: Combustible wood dust and a spark spell disaster. Since the Imperial Sugar refinery catastrophe, in which wood dust stirred up by the initial sugar dust blast is believed to have caused a secondary explosion, both the Occupational Safety and Health Administration and the National Fire Protection Association have revisited wood dust regulations. In 2008, OSHA increased dust inspections and in 2009 announced it would begin development of a federal standard for industrial dust. The agency began writing its first regulation governing wood dust. Years later, that regulation has yet to reach the draft stage. The fire protection association, meanwhile, published an updated preliminary standard for combustible dust earlier this year, the first stage in consolidating the fundamental requirements into a single standard. The organization will preserve standards for specific types of dust in separate documents. All this points to the likelihood of increased regulation of wood dust through the federal government and local fire and safety officials, says Jamison Scott, vice president of the Wood Machinery Manufacturers of America. The owner of Air Handling Systems of Woodbridge, Conn., which sells dust control systems, Scott is an expert on wood dust and its mitigation. 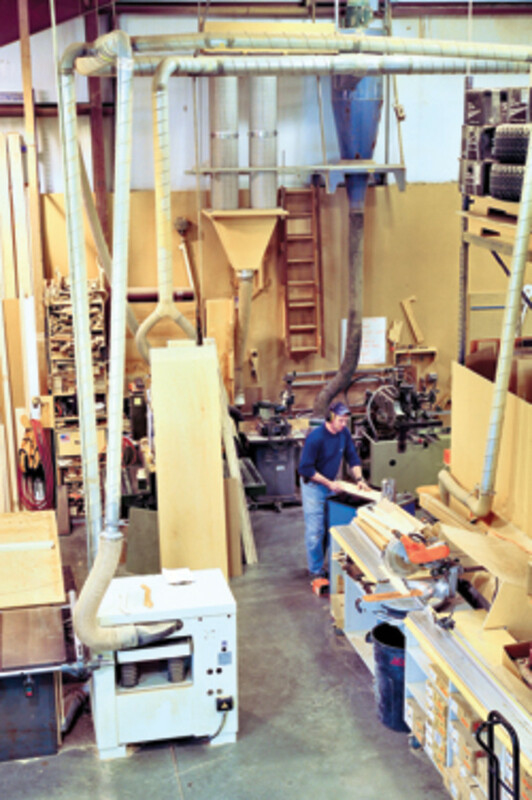 He often speaks to woodworking groups about wood dust dangers and seeks to prepare them for possible regulation. While there might be disagreement about the appropriate level of regulation, there is no debate about the hazards of combustible wood dust, Scott says. He has done demonstrations, dramatic video of which are available on his company’s website, showing how explosive wood dust can be. “Wood dust, when it goes up in an enclosed area, is just as explosive as gasoline fumes,” he says. So is the sawdust in my facility a hazard? It depends, Scott says. The really dangerous stuff is so-called “wood flour” — fine particles 500 microns or smaller. Scott pulls out a bag containing wood flour. The contents have the consistency of superfine flour or sugar. 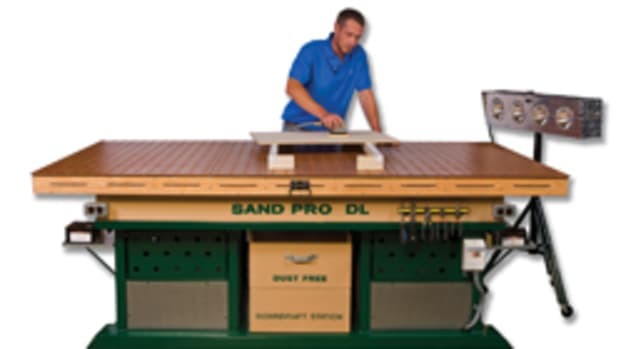 The best way to determine the danger level of saw dust is to hire a certified testing facility that will check the material’s fineness, its moisture content — dry wood is more dangerous than a damper product — and other factors, Scott says. “Testing is the most important thing at this point,” he says. Also important is keeping dust contained and preventing buildup on flat surfaces. It’s when the dust goes airborne that danger levels crank up, he says. It was a buildup of dust on unseen flat surfaces that is believed to have caused the secondary explosion in the 2008 Imperial Sugar disaster, Scott says. The initial blast shook the dust into the air and an ignition source ignited it, he says. The fire protection association recommends a thickness of no greater than one-eighth of an inch. Scott has a simple rule of thumb to determine when to worry. “If you have a green machine and you can’t tell it’s green, there’s too much dust,” Scott says. Being able to write your name in the dust is another danger sign, he says. In addition, ductwork should be round instead of square to prevent dust buildup, he says. 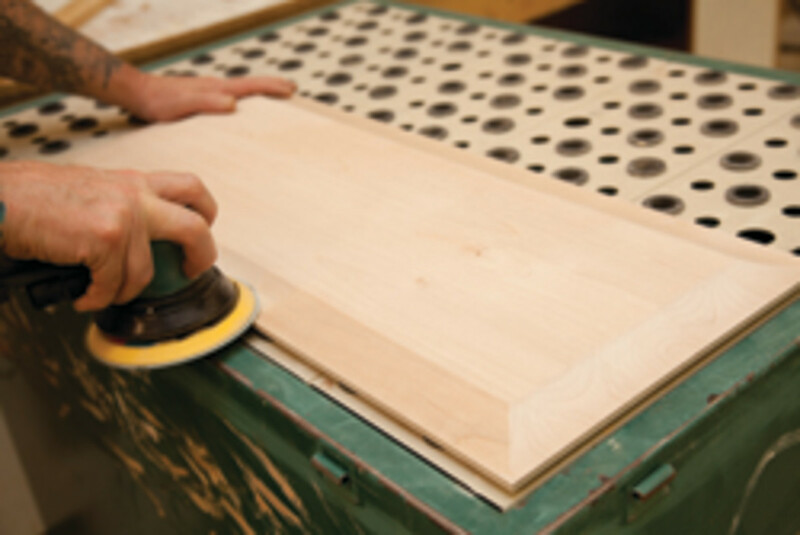 Cleaning up wood dust is not as simple as turning on a blower. OSHA has cited shops that fail to use specialized and expensive vacuum cleaners that don’t emit a spark to clean up wood dust, Scott says. Minimizing the possibility of sparks is another key element in protecting against wood dust explosions, Scott says. All fires require three things: burnable material, air and an ignition source, he notes. Potential ignition sources — such as electrical equipment — need to be carefully managed and kept away from areas where fugitive dust could gather, Scott says. Shops should be designed to contain any conflagration should it occur, he says. Plastic piping, because it’s prone to static electricity, is another potential danger, he says. Regulation of industrial dust is nothing new, says Guy Colonna, a National Fire Protection Association division manager. His organization, which sets standards for local fire and safety officials, issued its first wood dust guidelines in 1930, he says. A greater focus on combustible dust began in the mid-2000s after three incidents in 2003, Colonna says. The Chemical Safety Board conducted a study that identified 281 incidents, about 10 a year, in a variety of industries from 1980 to 2005, he says. “Consequently, the Chemical Safety Board concluded this is a regular event and therefore there needed to be more attention paid to it,” Colonna says. The Imperial Sugar explosion in 2008 only added to the concern, helping prompt OSHA to increase industrial dust inspections, Colonna says. The fire protection association, meanwhile, has five industrial dust standards for different materials, including one for wood dust, Colonna says. Since 2010, the organization has been working on a new industrial dust standard that brings the fundamental requirements into a single document, he says. In addition, the fire protection association will keep its existing standards for wood dust and other materials, he says. The fire protection association will likely not include major changes to the wood dust standard, Colonna says. “We are attempting to be proactive in making sure the NFPA documents remain a good resource to industries subject to OSHA,” Colonna says. With a preliminary standard out, the fire protection association will issue a draft by September and a final standard by early 2014, Colonna says. It will then go into effect later that year, he says. The fire protection association’s intention is also not only to update and strengthen its standard, but also to provide a model for possible future OSHA dust regulation, Colonna says. OSHA has worked on a possible wood dust regulation since 2009, but has yet to issue a preliminary draft, Colonna says. 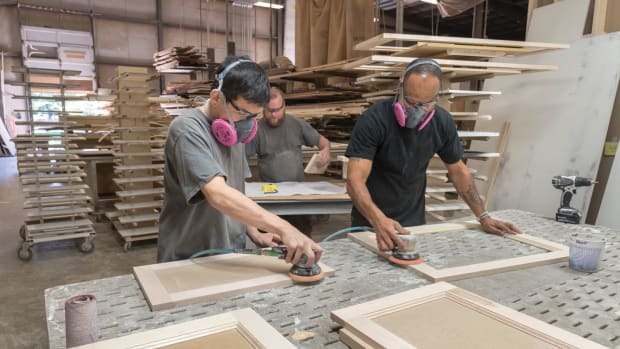 Philip Bibeau, executive director of the Wood Products Manufacturers Association, says that his organization’s members have faced heightened OSHA scrutiny over wood dust for the last four to five years. OHSA has visited numerous members of his organization, which typically have fewer than 50 employees, not based on complaints, but a list compiled by the agency, Bibeau says. Many have been cited, he says. 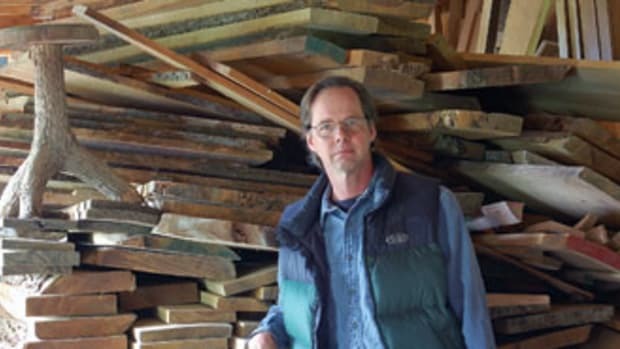 The inspections are placing an added burden on small wood shops already concerned about the impact of the Affordable Care Act and other issues, he says. But that standard may be too stringent. Colonna says that the fire protection association’s general dust standard is 1/32nd of an inch, but 1/8th of an inch for typical wood dust. That’s because wood dust is less dense than other types of industrial dust, he says. 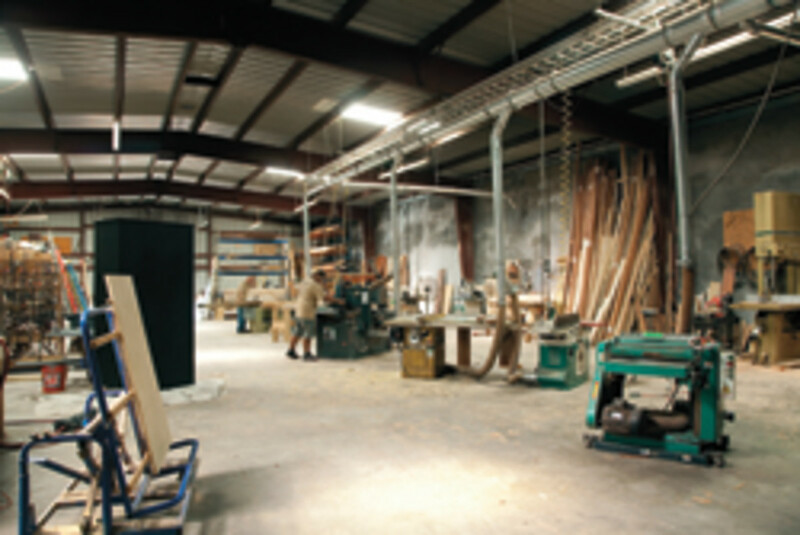 Other wood industry trade groups reported no increased OSHA scrutiny over wood dust in recent years. While they agreed that wood dust is a significant safety concern, some questioned whether the dangers were being overblown. They also questioned the need for federal regulation. 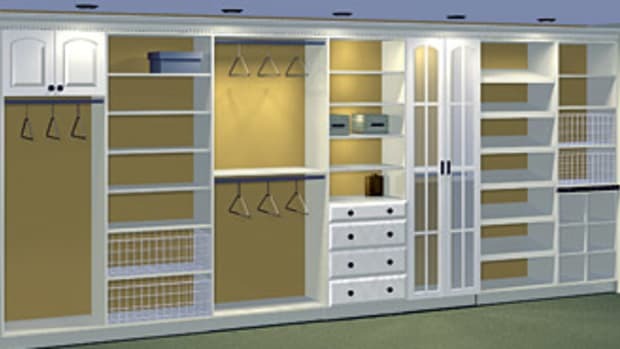 “The long and the short of it is, I think it’s better left to local authorities versus handing it down to the feds,” says Dave Grulke, executive director of the Cabinet Makers Association. Gary Heroux, vice president of product acceptance at the Composite Panel Association, says that insurers also ensure compliance with wood dust safety requirements. Companies also often bring in independent experts to assure their operations are safe, he says. “It seems like the standards in place today are working well for our industry,” Heroux says. OSHA’s response Freelance contributor Christopher Hoffman conducted the following interview with an OSHA spokesperson. I understand you have been working on your first-ever wood dust regulation since 2009. Is that correct? If so, what is the regulation’s status? Why has it taken so long? What led OSHA to decide to do a formal regulation? When do you expect to have a draft? OSHA: Our rulemaking on combustible dust hazards is general in nature. Currently, wood and all other materials capable of forming combustible dust are within the scope of consideration. OSHA is developing a proposed rule. The next step in the proposal process is to initiate the review process as required under the Small Business Regulatory Enforcement Fairness Act. OSHA is preparing the necessary materials and analyses to start the law’s review. Due to the need to develop additional regulatory alternatives and their associated economic analyses, this is scheduled to begin in October of this year. After the review process, OSHA plans to publish a proposed rule. The timeline for this depends, in part, on the outcome of the review and the input OSHA receives. It is therefore difficult at this time to estimate when a proposed rule would be issued. The current stage of the agency’s rulemaking efforts can be found in the latest Regulatory Agenda posted on OSHA’s regulations Web page: www.osha.gov/law-regs. 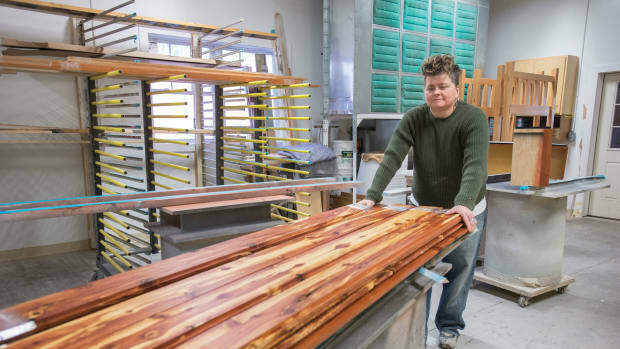 The Wood Product Manufacturers Association, which represents shops with about 50 employees, said that OSHA has been visiting its members for the last four to five years to check on wood dust and other issues. Have bigger operations faced similar scrutiny? Can you say how many operations you’ve cited for wood dust and what you’ve fined them? OSHA: OSHA inspections under the Combustible Dust NEP are conducted at facilities that might have combustible dust hazards. Facilities that fall under OSHA’s enforcement authority under this NEP are randomly selected for inspection regardless of their size, which can include bigger operations. Since the inception of the NEP, under both federal and state enforcement, at facilities that might have combustible dust hazards from wood dust, a total of 1,017 inspections have been conducted with a total of 3,568 violations, resulting in an initial penalty amount of over $5.6 million. The National Fire Protection Association is also working on updating its wood dust regulations. 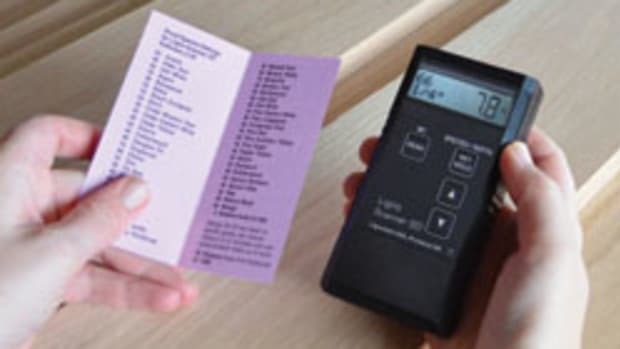 The Wood Product Manufacturers Association said that your inspectors are setting a standard of 1/32 of an inch, but the fire association tells me it should be 1/8 of an inch because wood dust is less dense. They said they’ve told you that. Is it true that you are using the 1/32 an inch standard and, if so, why? OSHA: The 1/32 inch housekeeping criteria is based on Annex D of National Fire Protection Association 654, which contains guidance on dust layer characterization and precautions. 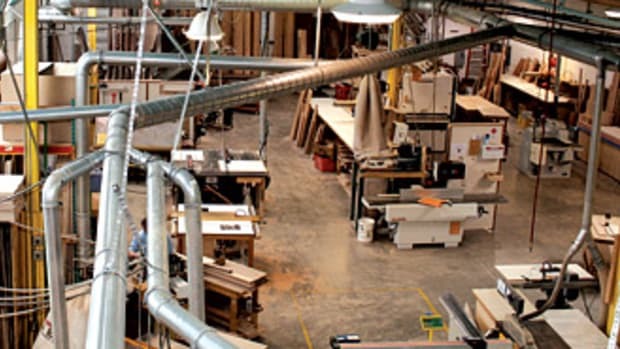 NFPA 654 does not apply to woodworking facilities. 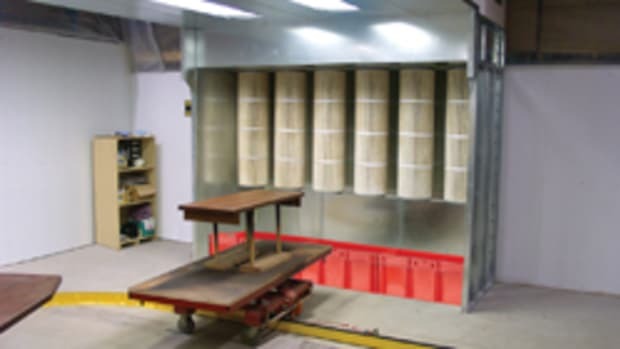 When inspecting facilities handling wood dust that can present workplace hazards including fire, deflagration and explosion hazards, for guidance purposes, OSHA personnel use NFPA 664, Standard for the Prevention of Fires and Explosions in Wood Processing and Woodworking Facilities. A number of people in the industry said they feel additional regulation is unnecessary. What does OSHA say to that? OSHA: Stakeholders representing various organizations and industries hold widely varied opinions on the necessity of such a standard. This can be seen clearly in the responses to our Advanced Notice of Proposed Rulemaking. The wide variety of input is partly responsible for the need for the agency to take the time to carefully consider all alternatives and their associated economic impacts prior to the review. All stakeholder input has been encouraged and has received serious consideration. That will continue through the review and the proposed rule. Everybody in construction knows that framing lumber prices are up more than 20 percent over a year ago, and the rebuilding effort after California’s fires and some major hurricanes will only strengthen that market over the next year.